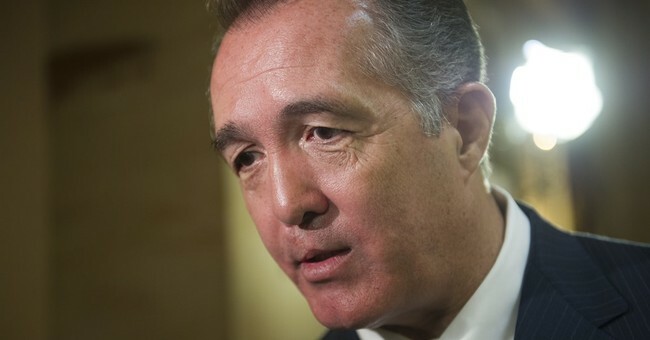 Rep. Trent Franks (R-AZ) released a statement Thursday announcing his resignation from Congress, citing a conversation involving surrogacy that made female staffers uncomfortable. The House Ethics Committee is reviewing the incident, Franks wrote, saying that in the current climate he would rather spare himself and his loved ones the "public excoriation" that would involve and will be leaving Congress as of January 31, 2018. House Speaker Paul Ryan's (R-WI) office released a statement Thursday saying Ryan was informed of “credible claims of misconduct” against Franks last Wednesday and then spoke with Franks, who did not deny the claims. “Subsequent conversations took place this week between the speaker and Rep. Franks leading to the congressman’s decision to offer his letter of resignation,” according to the statement. Gov. Doug Ducey (R-AZ), will call a special election to fill the position since Franks’ resignation is more than six months ahead of the general election. Franks full statement is below.